Apps were created to make our lives easier. If you’re not fully convinced of this, maybe you don’t know all the cool stuff you can do with them. Without doubt, one of every traveler’s best friends is Google Maps, which actually has many uses beyond just navigation. 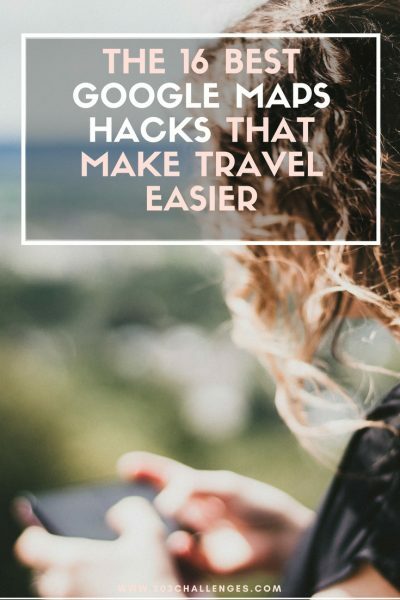 Here are the most useful Google Maps hacks, tips and tricks to use both when on the road and at home. When showing attractions, Google Maps has a feature called “Popular times” displaying the peaks and troughs of visitors’ interest during the day. This average data will help you decide when to visit in order to skip the longest lines. You can choose a day of the week and explore it hour by hour. See the most popular visiting hours and then choose a calmer time for your visit. 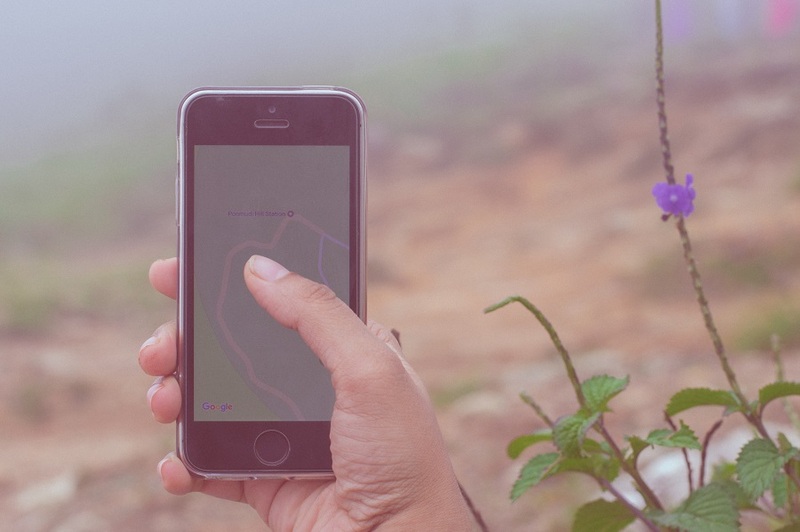 Navigation in Google Maps works even if you’re offline, which is handy when you’re abroad and want to save on data roaming expenses. All you need to do is download maps of the area you’ll be visiting in advance. Detailed instructions on how to do this are available here. 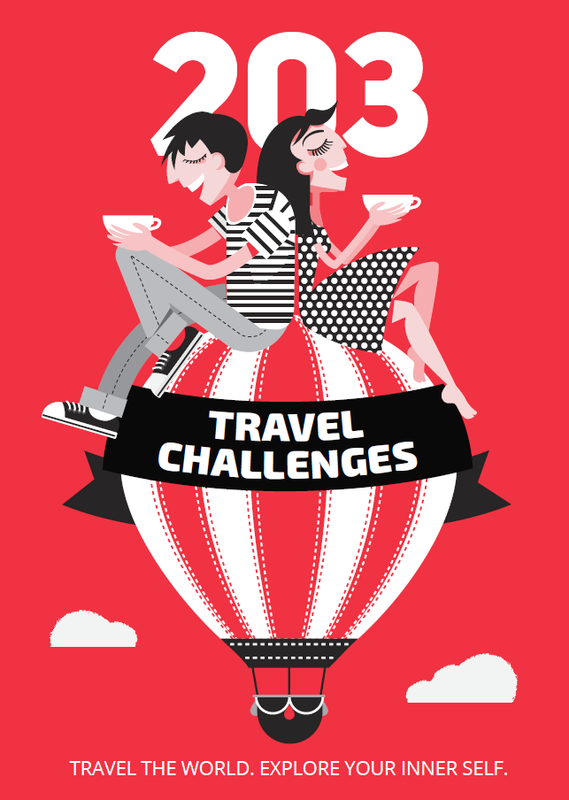 This is also useful for domestic travel, when you plan to visit destinations with poor network coverage. 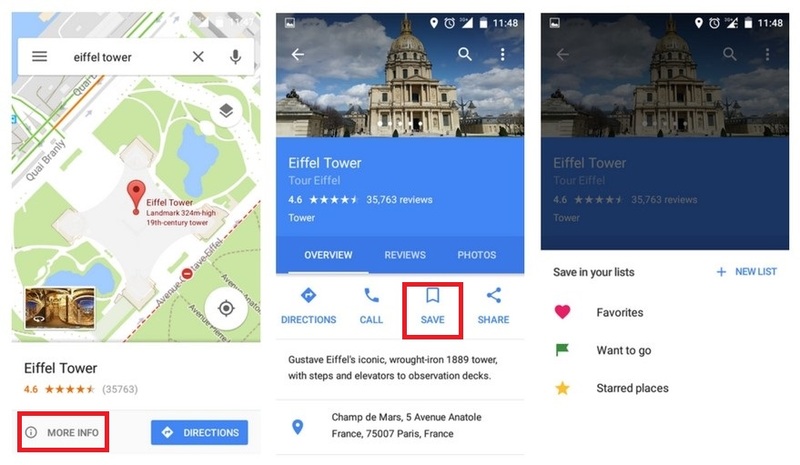 When I visit a new city or a country, I always research what I want to see, find the attractions on Google Maps and use the “Save” option to keep them at hand when I need to design my route later. You can choose to save the site under “Favorites”, “Starred places” or “Want to go”. Alternatively, you can create your own customs lists and sort them by destination, for example. Then, when you open the map, you’ll see all the places neatly organized on your to-visit list. 1. Type in the name of the attraction. 2. Click the “More info” button. 3. Choose the “Save” option. 4. Choose an existing list or create a new one (Berlin, New Zealand, Cheese museums etc.). 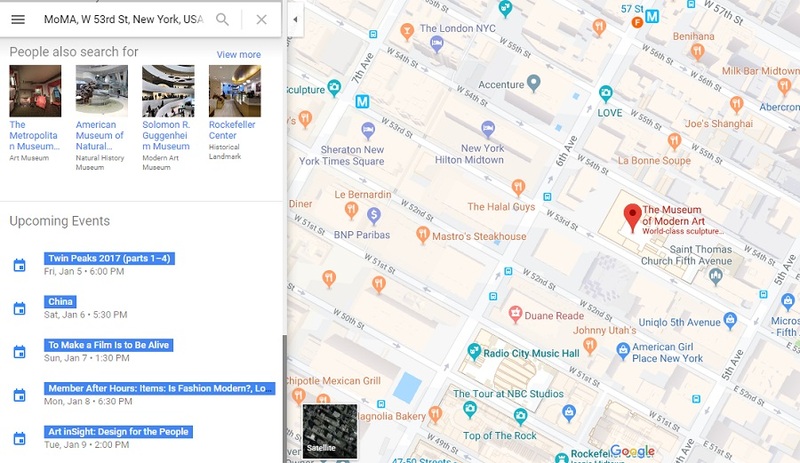 Google Maps is one of the main sources of visitors’ reviews of hotels, restaurants, attractions, and even buses (which are reviewed on bus stops marked on the map). Of course, you should be aware that reviews are personal and influenced by many factors. Then again, if hundreds of people have complained about the cleanliness of a restaurant, you should take that into consideration. If you’re researching destinations on your laptop but will need the information on your phone later, you can easily send everything you’ve done to your phone via SMS or email. This works if you are signed into your Google account on your both devices. Send information straight to your phone. Google Maps has a forum-like feature where users can ask questions and get answers. The app accumulates the most frequently asked questions, which you can then see by typing the name of a certain location and scrolling through all the attached information. Very few of us scroll down to the end of the information about a site in Google Maps. However, when you search for a bar, cafe, museum, opera house or other attraction and scroll down to the bottom, you’ll find a list of the venue’s upcoming events with a link to its website and further information. Scroll down to see upcoming event info at the bottom of the page. 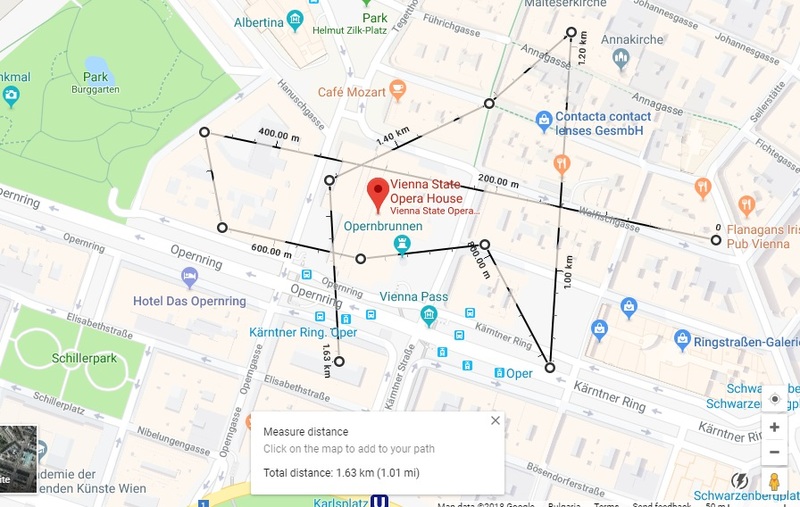 If you just type “cafe” or “museum” into the search bar of Google Maps, it will highlight these places in the area around you. It’s a great way to decide where to go next without having to trawl through thousands of reviews. Sometimes you only have one free hand to hold your phone, and zooming in or out with two fingers seems like mission impossible. Google Maps has solved this problem, of course! You can easily zoom in by double-tapping on the screen. If you want to zoom in and then out, do the following: double tap and hold, then slide your thumb down to zoom in and up to zoom out. If you’re connected to the internet, Google Maps will provide you with real-time traffic updates. The busiest roads are marked in red, allowing you to plan your driving route along the much quieter green lines. Right click on the map and choose the “Measure distance” option from the dropdown menu. Then click on the map and fine tune the line that appears on it. With every subsequent click, a line will connect the spot you just clicked on with the previous point. This tool allows you to create elaborate routes and measure their length in increments. You are headed to your friend’s new house, but suddenly he calls and asks you to drop by the supermarket on your way to pick up some more beer. Instead of recreating the route from scratch, you can simply use the “Add stop” option and change the route. This tool is available in the dropdown menu by clicking the three dots next to your starting point. After having parked your car, open Google Maps, tap on the blue dot and choose the “Save your parking” option. 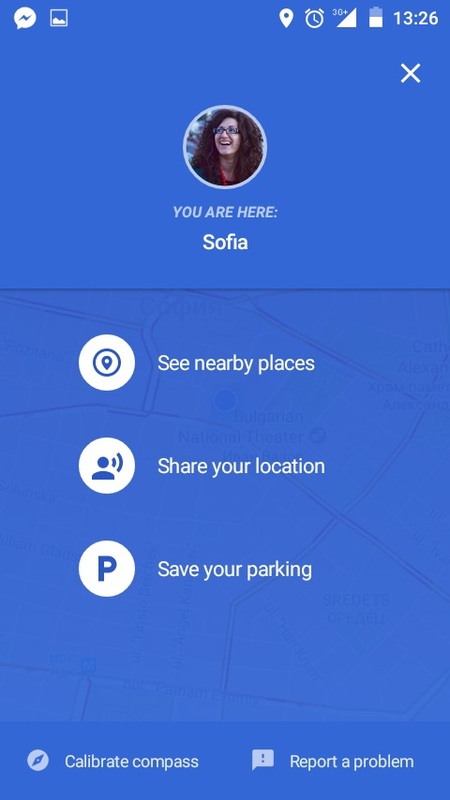 If you have to meet friends who don’t know where you are and you can’t give them a decent explanation, just follow the instructions from the previous feature, but instead click on the “Share your location” option. You can choose a timeframe between 15 minutes and three days, or “Until you turn this off”. You can use Facebook Messenger, WhatsApp, Google, or any other contacts you have saved in your apps. It’s not a good idea to take your eyes off the road while driving. Thankfully, you can make use of the “OK Google” command while using Google Maps navigation to answer queries like “Find gas stations nearby” or “Where’s my next turn?”. Super helpful tips! Some are new to me, and the one about adding stops to an existing route will be especially helpful. Wish the parking location one was available for iPhone! Thanks so much. Sharing this post.